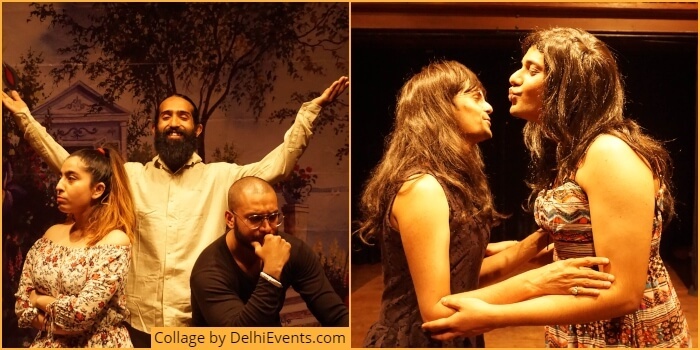 Event Description : THEATRE "Love-Shove Aur Khurana Auntie" Hindi Comedy Play by Akshara Theatre. The play is set in a typical Delhi park, with roadside romeos, romancing couples, dance groups, power-walking aunties, footballers and the bullying guard. Aryan and Shweta discover the meaning of pyaar versus society-ordained vivaah, while the loving couple Raj and Priti and their best friend Nupur find their love and friendship threatened by Khurana auntie’s gossiping tongue. Directed by Anasuya Vaidya and performed by Surabhi Sahni, Mohit Gupta, Tarun Kohli, Udit Maheshwari, Yash Joshi, and Varun Mittal with the Akshara Repertory. Stand-up comedian Kishore Dayani makes his acting debut as the hilarious Khurana Auntie.